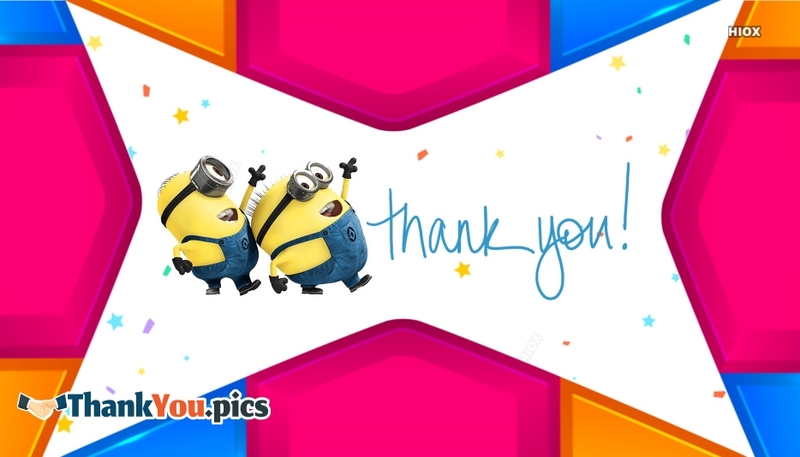 Send this cute minions on a colorful ecard to your lovable friends just to say your warm thank you. Saying Thank You is a good habit that would help you keep your relationship strong. Never forget to bid your thank you for those who stepped to you in your needy time. Download and share this "Saying Thank You" greetings with your friends and beloved ones.